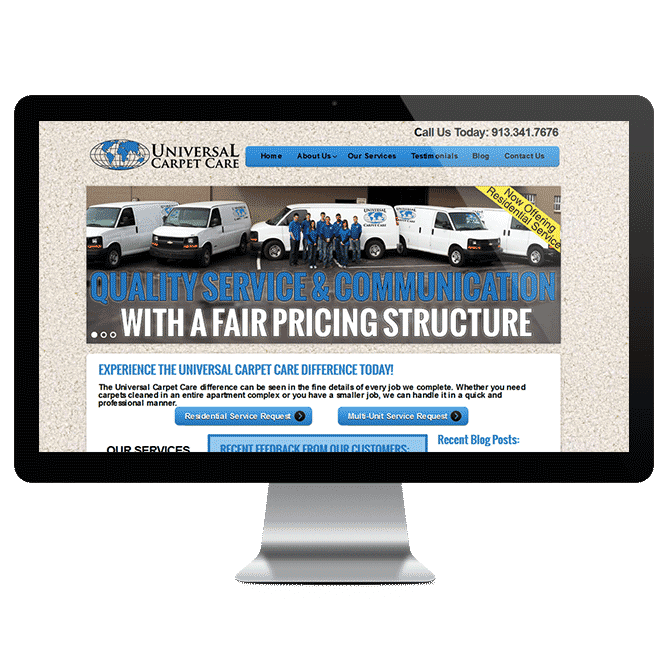 Universal Carpet Care is a Kansas City based carpet care company that wanted to expand their online presence with a custom website design. They reached out to me to develop their online identity, and to create some branding elements in the process. I began the website design process with a highly optimized WordPress website that would allow them to easily administrate their website with updates and changes. The front end of the website would need to be something that would grab a users attention and hold it long enough for the user to get more information on Universal Carpet Care. One of the most important aspects of the website design was to organize their content in a clear and concise way that would lend itself to an easy to use website design. With the content and services clearly defined, their new website design was ready to launch to the Kansas City market and beyond.